DHL Express has opened a 392,882 sq ft regional hub at Brussels Airport. The site, which includes two automated sorting systems, will almost quadruple the capacity of DHL Express in in Brussels to 42,000 shipments an hour. 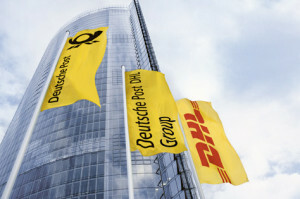 The €140 million facility has created 200 new jobs for DHL. The site has replaced the logistics company’s previous airport facility, built in 1985, because it reached full capacity last year. The site has 26 airlocks which transport containers in less than one minute with no human interaction whatsoever. According to the logistics company, these airlocks are the first in the world on the landside of the airport. “Brussels plays a crucial role in the worldwide DHL Express network,” said chief executive Ken Allen. “Brussels Hub is one of our largest hubs in the world and because of its location in the logistics heart of Europe, it also plays an important role in connecting companies from this region with the world.